Christ University conducts an entrance exam called Christ University law entrance examination or CULEE every year. The exam is conducted for admission to its BA.LLB and BBA.LLB course. The total seats combining both the courses are 300. This entrance exam is a university level examination. The CULEE Online Application Forms become available from December 8, 2017 and the last date to submit the form is April 19,2018. 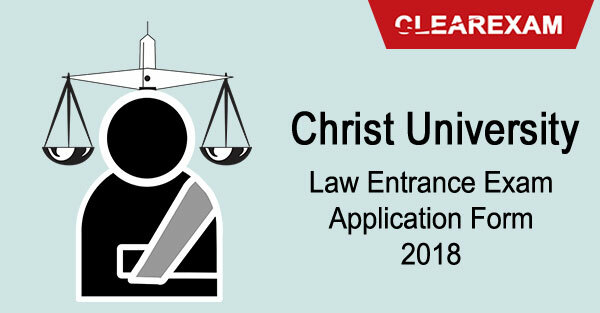 Here, we will discuss all mandatory requirements of the Christ University Law Entrance Exam 2018 application forms. Here, we are discussing the stepwise procedure n how to apply for CULEE Application Form. There are two way to apply for Application Form. Candidates can fill the Online Application Form as well as offline. So, there are the different method to apply for Application Form. Online method- In this method the aspirants have to visit the website www.christuniversity.in and hit the " admissions" tab. Direct (offline) method- Offline forms can be procured from the address: Office of admission, Christ University, Central block, Hosur Road, Bangalore- 560029. Now let us look at how to fill the online form. First step for you before you fill either kind of Christ University law entrance exam application form is to go through all guidelines for filling the form. These guidelines can be found on the "Apply course" page. Post this submission the system will generate your 16 digits unique Login ID which you will use for all further processes related to the entrance exam. This will be sent to you by email, and phone. Fill the form in entirety. Click submit and then you will be asked for editing the data if something is wrong. Make sure all information is correct and true to your knowledge. If all seems correct then click confirm submission button. The payment page will open up. The CULEE 2018 application form fee has to be paid now. The Christ University law entrance exam 2018 application form cost is Rs. 1000. Pick the way you want to pay by credit or debit card or by net banking or DD drawn in favor of Christ University payable at Bangalore and process the fee. A copy of the mark sheets of grade X, and XI or XII whichever is available. For all those who did not go to Karnataka state board they also have to have a copy of transfer certificate from last school of study, and also the migration certificate. An application number will be generated when the entire Christ university law entrance test application form is filled and you will be asked to print the form. Take two copies. One for further reference and other for the time of selection process if you qualify. Sign the printed copy and reserve it for future use. Once the application form of Christ University law 2018 is filled a confirmation mail with pay receipt will be sent to each aspirant and they should check their email, and the phone. Read Christ University Law Entrance Exam details here. Go through the post to know the CULEE 2018 Application Form Details.